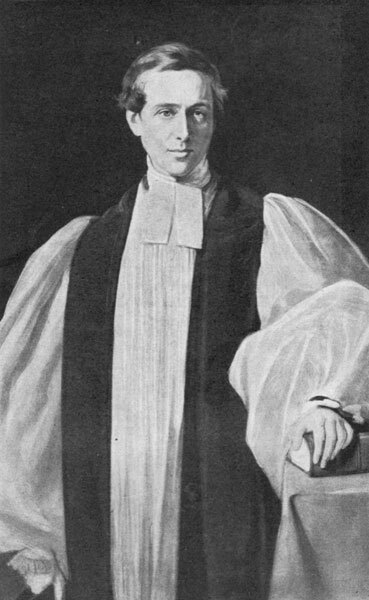 Reproduction by kind permission of the Diocese of Melbourne and the estate of the Reverend H. W. Nunn. 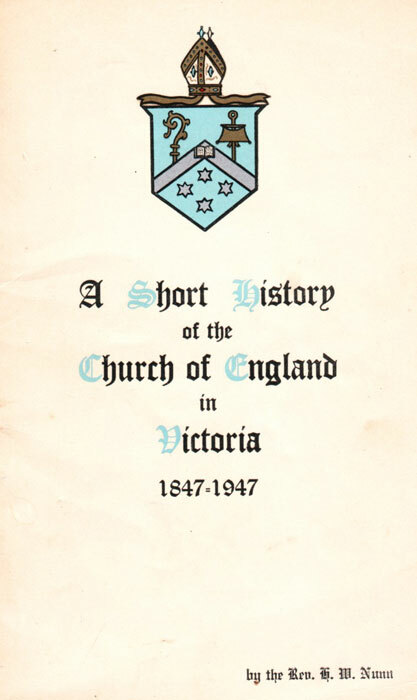 The Coat of Arms on the cover of this book is that of the Diocese of Melbourne. The Right Reverend Charles Stuart Perry, First Bishop of Melbourne, 1847-1876. AND we do further by these Presents ordain and constitute the Town of Melbourne within the said Colony of Australia to be a Bishop's See and the Seat of the said Bishop and do ordain that the said Town of Melbourne hall henceforth be a City and be called the City of Melbourne. --An extract from Letter Patent granted Charles Perry, D.D., by Queen Victoria, on June 25, 1848. See page 18, also note (18) on page 85. AS 1947 is the hundredth anniversary of the Consecration of Bishop Perry, it is fitting that our Church people should be informed and inspired. No book is available which deals adequately with these events and so we asked the Reverend H. W. Nunn to write something for us which may well be the forerunner of a larger volume in days to come. I believe that Mr. Nunn has searched the records with great care and has avoided the temptation of giving us a mere catalogue of events. He has picked out certain significant people and important movements and has spread them out on his canvas for all to see. No one can read the full story and measure the great work done during the last hundred years without thanking God and taking courage.